The best way to save on trailer interchange insurance is to shop around. We can help by bringing you three truck insurance agents who understand trailer interchange coverage. They compete for your business and you win! Sometimes a load needs to be transferred to a different trucker to complete the delivery to the final destination. What happens if that trailer is damaged when it not attached to the owner’s truck? Some truckers are unclear on the exact definition of trailer interchange insurance. Basically, it’s An insurance coverage that covers damage caused to a non-owned trailer under your care while you’re operating under a written trailer interchange agreement. In most cases, if you are hauling someone else’s trailer full of goods under a written agreement, you’ll need to add this coverage. Sometimes, the trucking company that owns the trailer will have insurance to cover their trailer while it is under your care. In that case, you won’t need to cover this risk. But a trailer interchange agreement is less common in the trucking industry these days. Oftentimes, a less formal agreement is made when a trucker needs to haul someone else’s trailer and goods. In these cases you would need a Non-Owned Trailer Physical Damage policy. What Does Trailer Interchange Insurance Cover? Trailer Interchange covers trailers you use. Trailer interchange physical damage insurance covers trailers during loading and unloading. It covers trailers from wrecks, fire, theft, vandalism, and any other physical damage. Many shippers and motor carriers require you to have trailer exchange insurance if you want to do business with them. How Much Does Trailer Interchange Insurance Cost? Who Needs Trailer Interchange Coverage? UIIA requires its members to have at least some amount of trailer interchange insurance. How much insurance is required depends on the equipment provider. This chart on trailer interchange limit requirements tells you exactly how much insurance each equipment provider requires. Shippers will hire power-only drivers to haul an empty trailer as loadout. They will expect you to sign a trailer interchange agreement. They won’t do business with you if you don’t have the trailer interchange endorsement. Sometimes motor carriers and shippers will require their leased drivers to carry TI coverage. But this isn’t always the case. Ask your company what they require before you put trailer interchange on your policy. There are countless scenarios where an o/o will have to pull an exchanged trailer under a TI agreement. Normal physical damage insurance does not protect any trailer that is not your own. It’s a smart idea then to get trailer interchange coverage. Insurance for power only and intermodal owner operators can be tricky. You will often have to list the trailer owner on your insurance as a certificate holder. Every time you add a new shipper to your policy, you’ll need to get a new certificate. It’s crucial to your business that you find a trailer interchange insurance company that can quickly add a trailer to your policy. Not everyone needs coverage. And you definitely don’t want to buy something you don’t need. Find an agent who knows what he’s talking about and who can prepare your trailer interchange insurance form. The big difference between non-owned trailer insurance versus trailer interchange is whether or not the trailer is attached to your truck when physical damage occurs. Make sure your agent understands all the risk scenarios that you face and covers you appropriately. Chances are that if you need trailer interchange, you’ll need bobtail as well. Find an agent who can strike you a deal by bundling your coverage. There are many insurance agents out there. 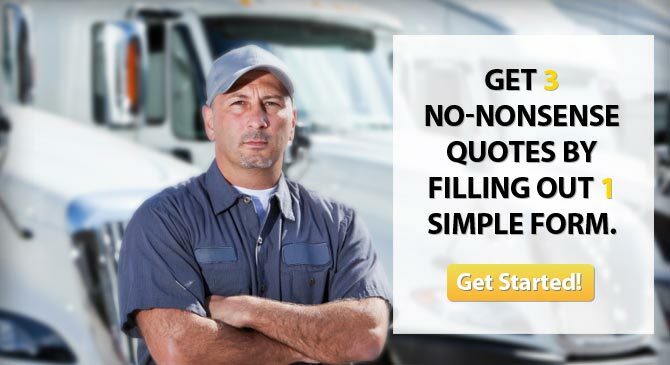 By getting multiple quotes, you will be able to get the lowest cost policy that still meets your coverage needs. Let us help you by connecting you with three agents. There is no easier way to shop and compare these complicated policies. UIIA equipment provider members have hard and fast requirements for drivers who work with them. The following information has been provided by the UIIA website. It should be noted that only two equipment providers require a limit of more than $25,000. So if you have at least that amount of coverage, you should be good. Click on an article below to get up to speed fast!